What’s the Deal About Gluten? Gluten-free (GF) diets are definitely all the rage right now. People blame gluten for myriad disorders, ranging from arthritis and asthma to multiple sclerosis and schizophrenia. However, there is little evidence supporting gluten as the cause or answer to any of these problems. Gluten-free diets also have not been effective for the purpose of losing weight. Many have become skeptical of the gluten-free diet, because it is viewed as simply the most recent diet trend. What do dinner and French have in common at Kendal at Oberlin? 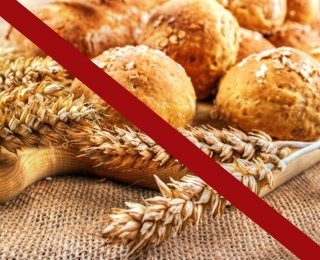 However, eliminating gluten from the diet is crucial for those who suffer from celiac disease. Celiac disease is an autoimmune disorder in which the body triggers an attack on the intestines every time gluten is eaten. Inflammation and damage occur in the small intestines, and nutrients are not absorbed, leading to nutritional deficiencies. Celiac patients experience many symptoms, which include abdominal pain/bloating, chronic diarrhea, weight loss and weakness. Some may also have depression resulting from the disease and the feelings of being overwhelmed and socially isolated. It is important to note that if you have already eliminated gluten from your diet, the blood test will not be able to identify antibodies. There is no cure for celiac disease. A gluten-free diet must be maintained for life to achieve optimal health. The body quickly returns to health, in most cases, after initiating a strict gluten-free diet. Gluten sensitivity on the other hand, may impact as much as 6% of the population, or 20 million Americans. According to the National Foundation for Celiac Awareness, gluten sensitivity (non-celiac) is found in “individuals who cannot tolerate gluten and experience symptoms similar to those with celiac disease but who lack the same antibodies and intestinal damage as seen in celiac disease.” There are no definitive diagnostic tests for gluten sensitivity at this time, but symptoms improve when gluten-free diets are started. Gluten is the collective term for the protein found in wheat, barley, rye, and to a lesser extent, oats, that trigger the immune response. Gluten is one of the most heavily consumed proteins on earth. Gluten gives bread its chewy texture, and its elasticity permits pizza chefs to twirl the dough into the air. Patients may feel very confused and overwhelmed with the dietary changes that are part of a GF diet. However, they become eager to embrace the gluten-free lifestyle once they see the benefits, such as symptom relief, more energy, better health status and improved quality of life. Weight loss is also a pleasant side effect of the diet as common foods such as breads, pastas, beer and other refined carbohydrates are restricted. Key types of common foods safe for patients with celiac disease include naturally GF items, such as fruits, vegetables, meat, nuts, legumes, fish poultry, eggs and most dairy. GF grains which are allowed include rice and corn. There are many other lesser known grains permitted on a gluten-free diet, such as flaxseed, quinoa, rice bran, teff, wild rice, tapioca, millet, chia seeds and oats (but only if they are labeled as such). Speaking of label reading, this becomes extremely important. Common “buzzwords” to watch for on labels include wheat, rye, oats, barley, malt, brewer’s yeast and thickeners. Many times, it feels as though you need to be a scientist or nutritionist to decipher some of the labeling terms. Patients may need to become comfortable with calling the manufacturer or looking online at product ingredients. It’s not only what you eat, it’s when you eat! Find out here! Cross contamination is also an important factor. For example, a utensil used to handle pasta and then used in the sauce will contaminate the sauce. Or if croutons fall into a salad and are then removed, the salad shouldn’t be eaten. For those who are sensitive, separate toasters, cutting boards, and dishes may be needed when handling both GF and non-GF foods. At the Kendal at Oberlin kitchen, our goal is to help those diagnosed with gluten sensitivities and other allergies/intolerances to enjoy their meals as safely as possible. Because ingredients change and differences in the menu may occur, we rely on our cooks and chef to be the final word on whether a dish is GF. We encourage residents to become familiar with the staff and to ask questions. Special requests are accommodated and take only a phone call to the kitchen. Although our operation isn’t always perfect, we continue to work to provide the most accurate information possible for our residents’ safety and health. 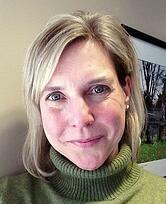 Sue Campbell, RD, LD: Sue is the Community Nutritionist at Kendal at Oberlin in Oberlin, Ohio. She studied at Ohio University and graduated with a degree in dietetics in 1992. She works with older adults and particularly enjoys wellness topics, cooking and writing.